Mirage fabric, made from 100% PES and designed for the production of curtains and roller blinds, is one of the fabrics in our “Night and Day” collection. It is ideal for regulating the amount of light that enters a room as blinds made from this fabric can be placed in two different positions: the day position, which allows all the light to enter, and the night position, which blocks the light and prevents it from entering the room. Vertisol has achieved this “Night and Day” effect by incorporating alternating semi-transparent and translucent bands into our Mirage fabric that allow you to play with the amount of light entering a room depending on the position of these bands. We also offer a total of three different band designs allowing you to create unique and defined environments by playing with the light and the different designs. Opacity level: Translucent and semi-opaque, allowing VISUAL CONTACT WITH THE OUTSIDE. Combining THREE DIFFERENT BANDS in three colours: light, medium and dark. 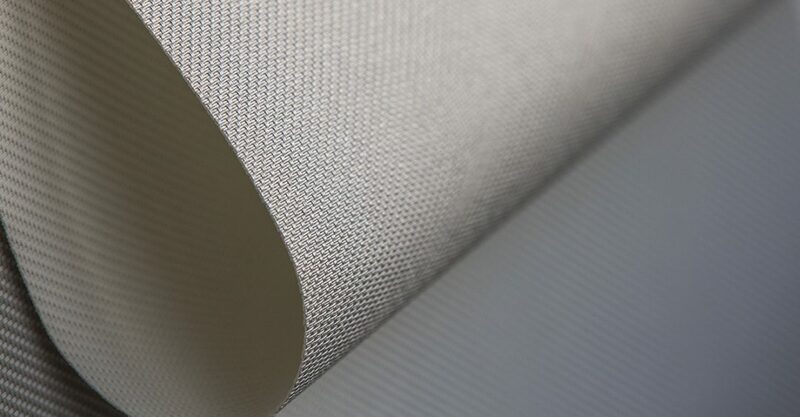 A fabric that is designed to be used to make ROLLABLE BLINDS up to a width of 250 cm. Easy to clean and maintain: simply wipe with a cloth dampened with a little water containing a pH neutral soap.